Marathon Partners is an NYC-based hedge fund, founded back in 2001 by Mario Cibelli, who is the fund’s current manager and sole owner. As of January 2017, Marathon Partners manages $274.79 million in regulatory assets under management on a discretionary basis. The fund mainly focuses on the stocks from the services and consumer goods sectors. At the end of January, the fund released a letter to the board of cosmetics brand e.l.f. Beauty, Inc. (NYSE:ELF) in which the fund holds its second largest stake. A copy of the letter you can find below. Let’s take a look at one part of the letter, in which the fund explains why it is disappointed with the current management and the board. Since our initial letter to the Company’s Board of Directors (the “Board”) dated September 12, 2018, we have attempted to work behind the scenes in a constructive manner with management and the Board to assist in improving shareholder returns. While we did appreciate the recent opportunity to speak with a director and share our thoughts, we remain highly concerned with management and the Board’s unwillingness to address legitimate shareholder concerns in an effective and timely manner. Since e.l.f.’s September 2016 IPO and March 2017 secondary offering, the Company’s share price has decreased by 51% and 69%, respectively, dramatically underperforming the market and industry peers. We believe it is crucial for the Board to reorient its priorities toward improving outcomes for the non-insider shareholders of e.l.f. From our point of view, the management team and Board have done little to improve the position of the public shareholders since the IPO while ensuring that TPG Growth II Advisors, Inc. (“TPG”) of e .l.f. own self-interest paramount. This reflects very poorly on the entire Board and calls for aggressive action to reverse the damage that public shareholders have suffered from such poor stewardship. e.l.f. Beauty Inc is an Oakland, California-based international cosmetic brand, mainly famous for its 100% “cruelty-free” skin-care, makeup, bath, and other related products. The company whose market cap is $510.17 million is also known for supporting PETA’s campaign for no fur. It is trading at a price-to-earnings ratio of 32.66. Today, Jefferies Financial Group upgraded its rating on the stock to ‘Buy’ from ‘Hold’. Heading into the first quarter of 2019, a total of 17 of the hedge funds tracked by Insider Monkey were bullish on this stock, a change of 55% from the second quarter of 2018. 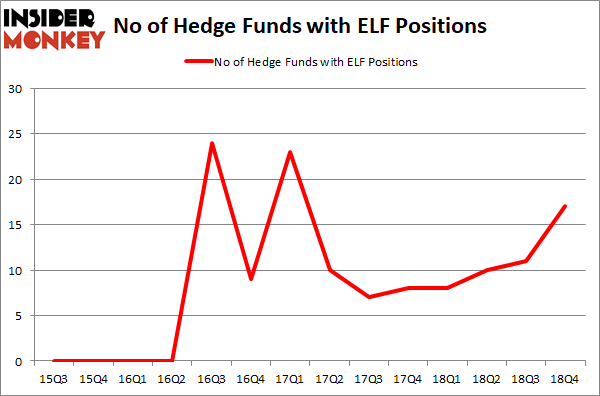 On the other hand, there were a total of 8 hedge funds with a bullish position in ELF a year ago. With hedgies’ positions undergoing their usual ebb and flow, there exists an “upper tier” of noteworthy hedge fund managers who were adding to their stakes meaningfully (or already accumulated large positions). More specifically, Marathon Partners was actually the largest shareholder of e.l.f. 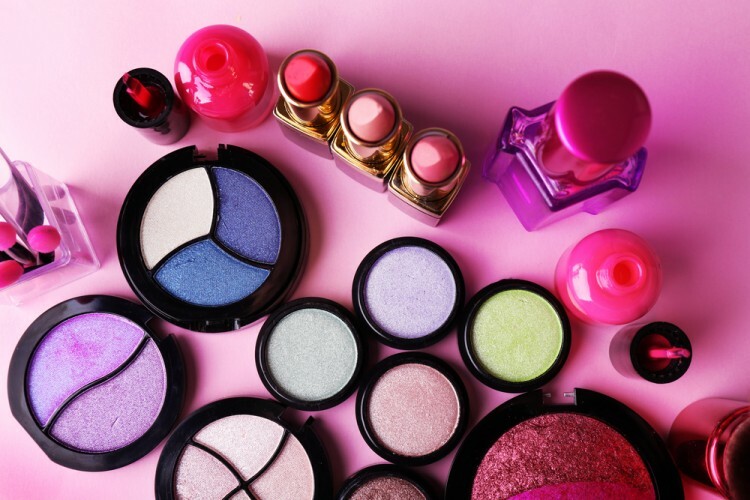 Beauty, Inc. (NYSE:ELF), with a stake worth $35.9 million reported as of the end of September. Trailing Marathon Partners was Bares Capital Management, which amassed a stake valued at $14.7 million. Portolan Capital Management, Millennium Management, and Marshall Wace LLP were also very fond of the stock, giving the stock large weights in their portfolios.